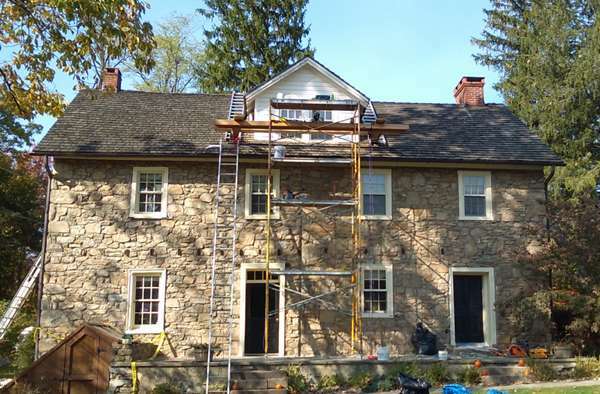 We are a residential remodeling company that specializes in sustainable remodeling and historic restoration. Whether you are a new or existing customer, interested in a major renovation or just a small repair, we urge you to consider us for all your home improvement needs. If you decide to work with us you will get top quality, environmentally responsible work at a fair price. Whenever possible, we find a way to reuse existing materials in the remodeling process, thereby keeping them out of landfills and reducing the amount of new material that must be harvested, manufactured, mined, etc. With a little creativity, many materials can be effectively repurposed and given another life. We recycle anything that can be recycled. Keeping jobsite waste to a minimum is one of our highest priorities. This reduces the amount of fossil fuels burned by transporting materials over great distances, and also helps to support the local economy. Many products currently used in conventional construction are harmful to the environment as well as our health. By avoiding these products, we can have both a healthier planet and healthier homes. From adding insulation to installing energy-efficient appliances, we can reduce the energy required to operate your home while at the same time improving your comfort. Nothing is “greener” than a quality job that will last for many years. Even the most efficient, off-the-grid new house is nowhere near as environmentally responsible as restoring an existing structure.